Dr. Nicholas Sala has been practicing in Erie for over 20 years. 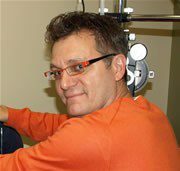 He specializes in the medical and surgical treatment of both pediatric eye diseases and adult strabismus (crossed eyes). He concentrates on surgery to correct strabismus in children and adults, pediatric cataracts and glaucoma, tear duct obstruction and pediatric eyelid abnormalities including ptosis (droopy eyelids) surgery. He also evaluates premature infants for retinopathy of prematurity (ROP) at both N-ICUs. Dr. Nicholas Sala and Pediatric Ophthalmology of Erie, Inc. are extremely active in research. He is a member of PEDIG (Pediatric Eye Disease Investigator Group), an organization of over 150 pediatric ophthalmologist across the US and Canada. He has won countless recruitment awards and continues to be a major contributor to the past and current research studies. 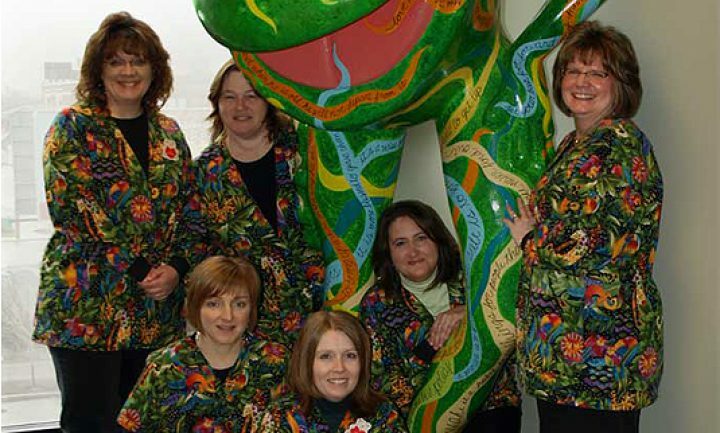 Lori has been an orthoptist since 1997, working alongside Dr. Sala since 2003. An orthoptist evaluates and treats patients with eye muscle disorders. 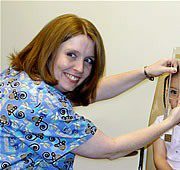 Orthoptist’s serve patients of all ages, but because of the nature of many eye muscle disorders, a lot of the patients are children. Adult care in the field of orthoptics is rewarding and challenging treating patients with prisms and /or exercises to help with double vision and eye muscle disorders. Lori and her husband, Shawn, have a son, Dominic, born July 31, 2007. They all love Erie, fishing and the Pittsburgh Steelers! ©2019 Pediatric Ophthalmology of Erie, Inc. All Rights Reserved.